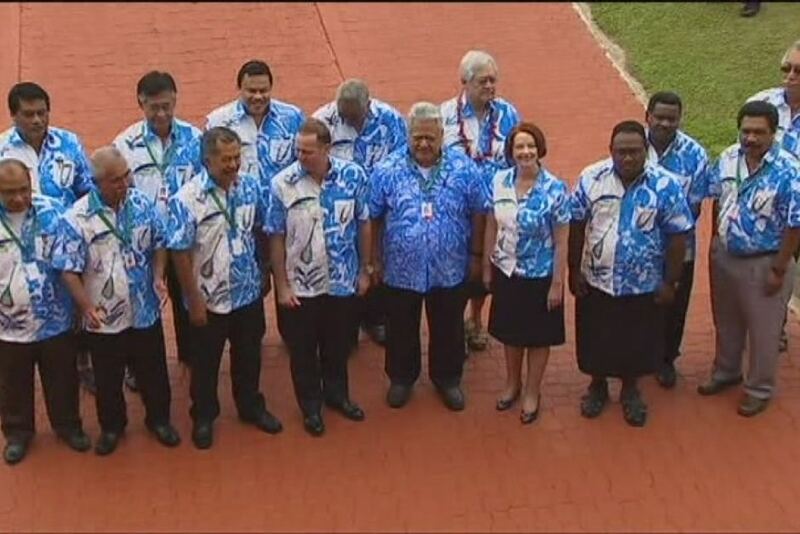 Senior officials from Samoa, Solomon Islands, Vanuatu and New Zealand are carrying out the Peer Review exercise which began in Port Moresby last week, at the request of the Government of Papua New Guinea. “While we bring our own country perspectives to the table, Papua New Guinea is truly unique in its challenges due to the sheer scale of its landmass, population and diversity of cultures and languages,” remarked Mr Mathew Pativato, Director Financial and Economic Development Unit in the Solomon Islands’ Ministry of Finance and Treasury, speaking from Madang. With a population of about 450,000 – equivalent to the Solomon Islands’ own population (yr 2000 estimate) – the Madang Province boasts the country's highest peaks, active volcanoes and biggest mix of languages. “Clearly the Madang provincial and local-level governments have quite an extensive responsibility in delivering services to the people on the ground,” said Mr Pativato. “From our consultations in Madang so far, we have heard a consistent message in support of decentralisation of development funding from the national government, directly to local-level governments. Former Governor of Madang, Minister for Provincial and Local Government Affairs, Health, Bougainville Affairs, Chairman for the National AIDS Association and a longtime political and business figure now based in Madang, Sir Peter Barter, agrees. “Respect each level of government and give them the appropriate levels of capacity and funding to deliver effectively,” was Sir Peter’s advice. Mr Pativato says he can relate to the issues raised, as the Solomon Islands have faced similar challenges and are consequently taking steps to propose a new way of doing business. “In the Solomon Islands we will be presenting a Bill at the next sitting of Parliament to direct resources straight to the constituencies to avoid ‘bottlenecks’ such as those described by Madang administrators,” explained Mr Pativato. A Madang District Administrator did not mince his words in highlighting his office’s administrative challenges to his Pacific peers. “There is a lot of planning coming from the National Government but we don’t feel it on the ground,” he told the Peer Review team, asserting that the ‘bottlenecks’ in the system between the Provincial Government and his office were a great hindrance to their day-to-day operations. 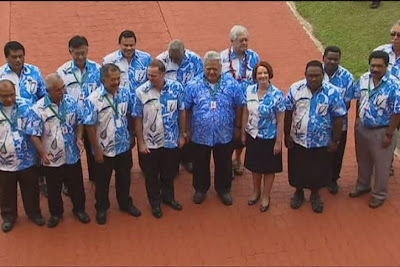 Madang District Deputy Treasurer, Ms Helen Kanimba, says everyone is to blame to some extent. Mr Pativato said he looks forward to developing practical and specific recommendations to the Government of Papua New Guinea from the Peer Review exercise. “Coming to the rural communities has been an enlightening experience and has given the team a greater understanding of the planning, budgeting and service delivery challenges in Papua New Guinea. Papua New Guinea has 20 provinces, one autonomous region (Bougainville) and the National Capital District. Each province consequently has at least one or more districts, and each district has one or more Local Level Government (LLG) areas. The Peer Review team will present their preliminary findings and recommendations at the conclusion of their consultations next week.